Kudlow said Mnuchin "will make up his mind" as more is learned about Khashoggi. In the wake of the disappearance of journalist Jamal Khashoggi, Treasury Secretary Steven Mnuchin still plans to attend an annual investors conference held in Riyadh, Saudi Arabia, according to President Trump’s top economic adviser, Larry Kudlow. 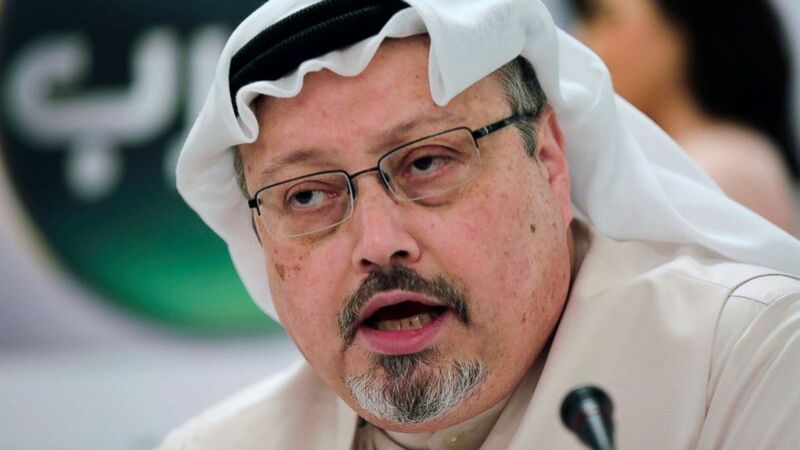 With the explosive claim by Turkish authorities that Khashoggi, a prominent critic of Saudi leadership, was murdered in the Saudi consulate in Turkey on Oct. 2, several major U.S. business leaders and media companies have withdrawn from the investors conference set for later this month. The Saudis have strongly denied any involvement in Khashoggi's disappearance. The U.S. has called for an investigation. Kudlow on "This Week" underscored Trump’s saying that the U.S. is being "very tough" in its investigation of what happened to Khashoggi, who has recently been living in the U.S. and who went into the consulate for documents he needed to get married. In a separate interview on "This Week," Stephanopoulos asked Republican Sen. Jeff Flake of Arizona if at this point there is any other plausible explanation for why Khashoggi never came out of the consulate, other than the Turkish authorities' claim he was killed. "There sure doesn’t seem to be," Flake said. "The Saudi Arabia government has been asked, the ambassador has been asked directly to bring information back. They haven’t done so. Their explanation that their closed-circuit television just streamed and didn’t record just isn’t plausible. There’s just no good explanation and I think they know it.”"
(Brian Snyder/Reuters) Sen. Jeff Flake speaks at the Institute of Politics at Saint Anselm College in Manchester, N.H., Oct. 1, 2018. 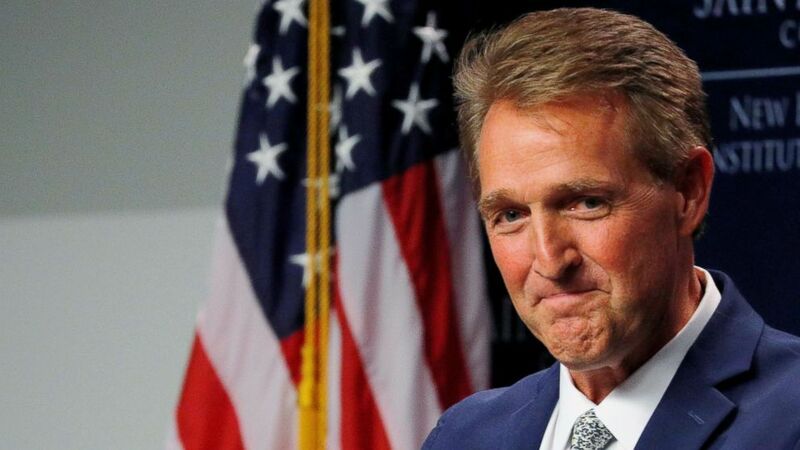 Flake said that if it is true that Khashoggi was murdered and the Saudi leadership was involved, "severe action needs to be taken and I think the Congress will take it upon themselves to take that action." Flake was referring to American military support for a Saudi-led coalition in Yemen fighting Shia rebels in a conflict that has been raging for three years and led to one of the world's worst humanitarian crises, with millions of Yemenis on the verge of famine earlier this year.